The 30-year-old ethnic conflict in the Sri Lankan state, an essentially Sinhalese majoritarian preserve, and the uncompromising and relentlessly violent Tamil leadership claiming a separate state, Tamil Eelam, on behalf of the Tamil minority of north and east Sri Lanka, culminated with a comprehensive military defeat of the Tamil Tigers at the hands of the Sri Lankan military and paramilitary forces. However, it also turned out to be a terrible example of collective punishment for the Tamil minority. This is the tragedy that the political scientist, former political activist with a strong Marxist-humanist commitment and a Sri Lankan diplomat, who till recently was serving the UN in Geneva and France and UNESCO, analyses with courage and insight. After the British transferred power in 1948 virtually without a freedom struggle being waged against them, the ruling elite, Sinhalese and Tamil, initially adhered to the pluralist model bequeathed by the British based on liberal constitutionalism. However, that did not last long and Sinhala ethno-nationalists, lay and clerical, began to assert a majoritarian Sinhalese-Buddhist identity and ideology that sought to marginalise the Tamils. The adoption of the Sinhala only bill in 1956 as the sole national language literally rendered the hitherto more advanced Tamil intelligentsia illiterate. 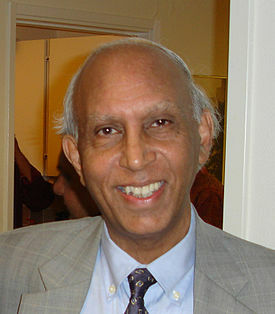 The moderate Tamil leadership failed to dissuade the majoritarian Sinhalese nationalists to accommodate the legitimate interests and concerns of their group. As a result, disappointment, frustration and despondency spread among the Tamils. The leadership then passed into the hands of extremists, and the Tamil Tigers, led by Velupillai Prabhakaran, emerged in 1976 as the most uncompromising and ruthless protagonists of Tamil separatism and secessionism. Jayatilleka convincingly demonstrates that in the armed conflict that ensued, exclusive ultra-nationalism took up uncompromising positions on both sides. However, whilst the Tigers never relented, the Sri Lankan government on a number of occasions sought a compromise granting autonomy/devolution within a formally unitary state. He especially regards President Ranasinghe Premadasa as the leader who was most forthcoming to accommodate Tamil concerns including those related to the national language. He was pitilessly assassinated by the Tamil Tigers, who rejected all such overtures as their goal was to create a sovereign and independent Tamil Eelam. The Tigers also assassinated Indian Prime Minister Rajiv Gandhi and several Sri Lankan ministers and politicians including Tamils. The author is at his masterly best when he applies his vast theoretical and conceptual knowledge, including normative political theory, to distinguish a freedom fighter from a terrorist. He defines terrorism as deliberate policy to target innocent civilians. In this regard, the review of Marxist theory and practice associated with Fidel Castro and Che Guevara is especially instructive, because although they resorted to armed struggle they considered it a necessary evil. Prabhakaran made a virtue out of violence and terror and personified that cult. He reveals the psycho-ideological mindset of Prabhakaran as intrinsically fascistic. We learn that the leader of the Tigers actually hero-worshipped Hitler and kept a copy of Mein Kampf by his side, and like his hero extracted complete submission from his followers to his whim and caprice. Moreover, the Tamil Tigers showed no mercy to dissidents within the party or the opposition within Tamil society, or to innocent Muslims and Sinhalese. Their record of carrying out assassination attempts and suicide bombing predates by many years similar trends in South Asia. Jayatilleka rejects the right of national self-determination to mean an absolute and automatic right to secede through the use of force and terrorism from an existing state. He asserts that secession from an existing state is not to be confused with liberation from colonial rule. Such an interpretation is an accurate understanding of the norms upheld by international law. The author then examines the right of the state to wage war against an intransigent terrorist group in the light of classic just war doctrine and concludes that the Sri Lankan state had no other choice but to wage a war against the Tamil Tigers. It did so, but with such overwhelming force and ruthlessness that hapless non-combatant Tamils wholesale became its victims. It shocked the world and the United Nations expressed its concerns in no uncertain terms. 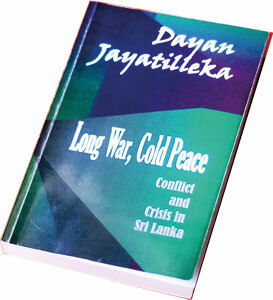 The author warns that a triumphant, vindictive, majoritarian Sinhalese mindset cannot win the peace. It is important to heal wounds and win back an estranged, defeated and humiliated minority. Currently a cold peace prevails that isolates and alienates the Tamil minority. He pleads for a just peace, which guarantees substantial autonomy, economic, political and cultural, equal rights for all citizens, and respect and acceptance of ethnic identity. To the Tamils his recommendation is to abandon secessionism and seek fair and equitable treatment within a pluralist, decentralised but unitary Sri Lanka integrated in a power-sharing framework. He argues that neither neo-liberal capitalism nor neoliberal conservatism can serve as the basis for building peace, which he argues has three important dimensions: the North-South axis; the rich-poor axis; and the country-world axis. 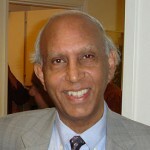 In my book, State, Nation and Ethnicity in Contemporary South Asia, London and New York: Pinter, 1996; 1998, I propounded a theory to analyse within a comparative framework a number of separatist movements in South Asia: Khalistani and Kashmiri in India; Sindhi and Mohajir in Pakistan; Chakma Hill Tribes in Bangladesh; and Tamils in Sri Lanka. I predicted that secession was doomed. The modern state is too well-armed vis-à-vis separatists. Moreover, international law and praxis is biased heavily in favour of the integrity of the state. Only when powerful neighbours or global powers support a challenger to the state can the balance of power possibly be tilted in favour of secessionism (pages 69-76). In the final showdown neither India nor any global power backed the Tamil Tigers: their extermination became inevitable. Seventeen years later Jayatilleka’s authoritative case study on Sri Lanka verifies the soundness and relevance of that theory. How much you are attached to Sri Lanka or do you have any attachment to Sri Lanka at all. And you think this way, Tamils will shut up their mouths for ever ? This will said UNTIL EELAM is achieved. Remember, FAT BOY Prabha wanted nothing less than an EELAM. This breed seems nothing but a separate state, so lets say so openly you weeping separate state sympathizers! Well said dullewe ! Separatists are still weeping over the demise of fat terrorist Prabha. Sorry, Sri Lanka took down that fat boy; now dozens of lives are saved everyday. one [Edited out] replaced by another one…. J Muthu is a separatist however he does not seem to be weeping over the demise of fat terrorist Prabha. I disagree with you. He was a fat man. Do you have evidence that it was Sri Lanka which took down him? how the hell do you win the peace . its an oxymoron if ever there was one . There is nothing interesting in Dr. Ishtiaq Ahmed’s article. He is describing the content of Dayan Jayathilleke’s book and in the last paragraph, Dr. Ahmed introduces his own book. May be for getting publicity for his book in the shadow of Dayan Jayathilleke’s book. we win the war and also peace,this is sri lanka. one nation we have unity,no one can divide us.we are now free. yes!! we won the war.we defeated prabakaran together..so how you can say there is no peace..if sometimes we not get together we can’t do that ,and finally EELAM is situated here today..our responsibility is protect our peace not to do work for destroy that,through like these talking..
You have your Sinhala Eelam. Why can’t the Tamils have their own Tamil Eelam? No this is my ancestral land, it belongs to us, not you. It is a very good idea to send them away. I hate to agree with you. We want them to go back to whence their ancestors came, Tamilnadu. Your ancestors came from Lata Land, Sinhapura, we want you to go back to India whence your ancestors came, perhaps present day Bihar. When you go please take your Tamil brethren with you. Tamils can’t have a separate Tamil Eelam Nation in Sri Lanka. Again there is no country called Eelam in the world! Tamils in Sri Lanka must accept the fact that they are Sri Lankans and not Eelamists. The Americans after stage managing the LTTE war to make MR a War Victor, first getting VP’s support to elect MR as President, then removing all NGOs and even the UN from the War front, speculated that they were trying to stop the war and save VP, just to hide their involvement, where as the Americans duped VP and finished him off luring them from their strong hold Kilinochchi to the sea front promising VP and his cadre a way out. Thereafter the Americans have been offering protection and shielding Shavendra Silva in the West, under the very UN, who did the job for them at the War front in the absence of SF, massacring VP and his cadre numbering over forty thousand. Not only Shavendra Silva, there are many other Military Personnel who took part in the final massacre of the LTTE, now residing in the West and down under as Diplomats and Naturalized citizens. Imagine VP burying the heavy artillery wrapped in polythene to fight the war with small arms and getting annihilated? What tosh people write about this War, that was won under thirty months? If there was no battle to take control of the stronghold Killinochchi of the LTTE, is one serious that there was a battle to capture the rest of Northeast? Therefore is it surprising that the Americans are preventing an Inquiry for the excesses, although they are flexing their muscles with false threats to hoodwink the whole world? David Blacker won’t be available until next Monday. Would you please hang in there until next week for his response. So for what purpose US wanted MR to win the war ? Do we have oil or any other resources in our soil ? Agree with that many of the participants to war ending are now on west. But then why GR and MR keep louding that foreign forces want to destroy the nation etc ? So then again on the UNHRC meetings, why US was the first to draft the UN resolution against SL? Do they the US play double game with the poor people like srilankens ? I have read this from you since the war won by GOSL, but not many added similar views on this platform about the issue. What you explain here is not known to the opposition of the country, what kind of theory they bear on this ? would like to read more about this. Actually India and USA won the war for Sri Lanka. Don, for the Americans to dabble in countries there need not be oil alone, but for Geo Political reasons as well. Ours is a clear case in point how the Americans got MR elected with VP’s help, then how they groomed the siblings to carry their brief after they successfully finished VP. The accusations and charges leveled between the parties are all theatrics to hoodwink the world. As for the UN diluted Resolution by the Americans is once again theatrics. The only thing is there is no guarantee for these brief carriers that the Americans will stand by them forever as seen in History of what happened to many such Political leadership world over. I believe these brief carriers will be looked after till they deliver and they stand to be disposed when they try to be too big for their boots. Carrots and stick methods are used to keep them on track. To illustrate this what better example than the Matale Graves? Why do you believe that there are no other similar graves in the rest of the country? If it can be made public of all the Forces personnel killed with their names, ranks and addresses for the thirty months from January 2007 to May 2009, for an Independent check, will reveal the truth about this Propaganda War. Dr Mohamed, can you explain this. The Moslem language is Arabic. In all other countries in the world where Muslims live they speak the language of the majority community in that country. Can you honestly give some valid reason why the Muslim community in Sri Lanka speak the minority Tamil language but do live and work in the majority Sinhala and other community areas in Sri Lanka. After getting your education in Sri Lanka and enjoying the academic status given to you By Sri Lanka, the attitude and gratitude shown by some of our scholars is pathetic. We do not need foreigners as enemies, our ‘DIPLOMUTS’ are doing this with their ‘free speech’. John on Terrorist Motivations & Security Lapses Behind the Easter Carnage (21/4) Sham, DON'T LIE!!!! BBS are only against NGO Christianity and terrorism 1slam. Champa on Terrorist Motivations & Security Lapses Behind the Easter Carnage (21/4) Vettivelu Thanam "Why the Tamil and Tamil origin Christians were only targeted????"